Prosecuting attorneys in a murder case were dealt a major blow recently when a computer forensics expert forensically extracted emails from a copy of the victim’s work computer drive that had been locked away in a cabinet in the Durham Police Department since 2005, which only surfaced last week. Global Digital Forensics provides professional electronic discovery (eDiscovery) consulting and services to help legal professionals eliminate avoidable cyber surprises and most effectively leverage the full power of digital evidence. 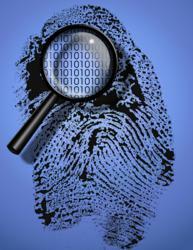 Digital evidence can make or break a case. In a world where our lifestyles are so interconnected with technology, it should come as no surprise that digital evidence can often be the instrument that shifts the scales of justice to favor one side over the other. A murder trial currently being heard in Durham by Superior Court Judge Orlando Hudson, the State of North Carolina vs Raven S Abaroa (Case #: 2010001087 CRS), is proving just how pivotal sound computer forensics and electronic discovery (eDiscovery) can be. The crime took place in April of 2005, but a hard drive from the victim’s work computer and a couple of CDs, with potentially crucial digital evidence, somehow fell through the discovery cracks and didn’t resurface until the 25th of May – 2013! While the outcome of the case has not yet been decided, “electronic discovery is in a position to turn this whole case on its head,” said Joe Caruso, founder and CEO of Global Digital Forensics, a company with plenty of real-world electronic discovery experience under the hood in both criminal and civil cases, as he discussed what stood out to him about this trial so far. “How large an error can something like that turn out to be? Well, there have already been two motions for dismissal, and words like "sanctions," "negligence," and even worse, "willful negligence," were being tossed around by the court and parties, not to mention the worst word of all for a prosecutor, "dismissal," built right into the name of the motions themselves. Even if the prosecution survives the motion practice, the damage to the prestige, credibility and transparency of the government's case is both difficult to gauge and impossible to ignore." "So far they dodged those bullets, but there is still plenty of time on the clock. One bullet they didn’t quite dodge though is the computer forensics analysis done by a computer forensics examiner hired by the defense once they learned about the drive, which he performed in just a couple of days after it finally resurfaced." The current can change fast in the digital world, don’t get swept away. In this digital day and age, Global Digital Forensics is formidable ally when it comes to the identification, acquisition, analysis, production and expert testimony relating to electronic evidence, always using only industry proven and accepted methods and procedures so any evidence found remains pristine and admissible. GDF’s experience and savvy in dealing with some of the most complex ESI situations imaginable and unrivaled expertise during those initial and crucial tone-setting steps, like the meet and confer or discovery conference, will ensure the best chance for litigation success. Because with Global Digital Forensics on the job, those are opportunities to seize an early advantage, not a burden to be endured. And because Global Digital Forensics is highly experienced in virtually any type of digital media, should the trail lead to networks, smartphones, tablets, mainframes, webmail or even social networking sites, GDF can seamlessly transition to help clients find and make the most out of virtually any type of electronic evidence involved, wherever it resides. *Global Digital Forensics is a recognized leader in the fields of computer forensics, eDiscovery, cyber security and emergency incident response. To speak with a digital evidence specialist about your unique situation, or any other computer forensics, eDsicovery or cyber security needs involving Electronically Stored Information (ESI), call 1-800-868-8189 anytime 24/7, or visit http://www.evestigate.com for more information. The call and the initial consultation are free.